The official launch of the Shetland Tourism Strategy for 2018-23 was held yesterday aboard the M.V Hjaltland, berthed in Lerwick. As Chairperson of the Shetland Tourism Association, I am very pleased to be able to announce the official launch event for the new Shetland Tourism Strategy and associated Action Plan. 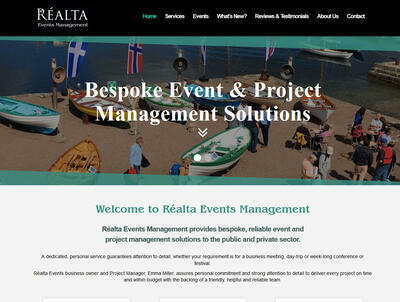 I am delighted to announce that Realta Events Management has now moved into dedicated office premises. Based in Unit 4.1 of the Toll Clock Shopping Centre in Lerwick, the office is a hub for creativity, meeting, and production. STV weatherman, Sean Batty, was recently in Shetland for a fundraising campaign on behalf of the STV Children’s appeal. 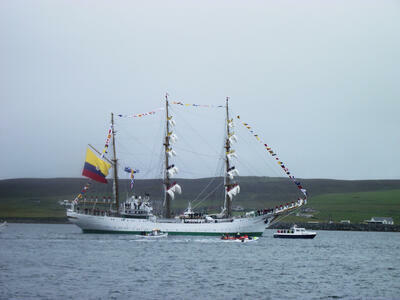 In my role as Project Manager for Living Lerwick, my colleague and I set up a street party to join in the event. Sean visited various locations in Shetland for a series of Tea Parties, bringing biscuits from event supporter, Tunnocks, and a representative from Loganair, the other event sponsor. 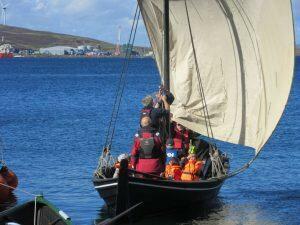 The ‘little brother’ version of Shetland Boat Week proved popular with local and visiting boat enthusiasts in August, with over 120 people out on the water in traditional boats. 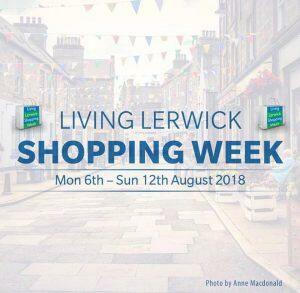 As part of the delivery of the Living Lerwick Business Improvement District contract, I have been working on the programme for Lerwick Shopping Week. 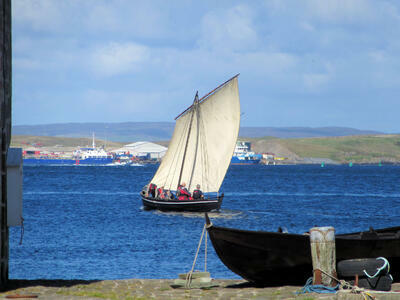 I am delighted to announce that I have started work on the planning schedule for a maritime heritage themed event in August this year, on behalf of the Shetland Amenity Trust. I am honoured to have been nominated and accepted as the new Chair of Shetland Tourism Association, at the AGM in November 2017. I am very pleased to announce that I have secured the contract to provide the ‘Business Improvement District’ (BID) contract within Lerwick Town Centre over the next four years.